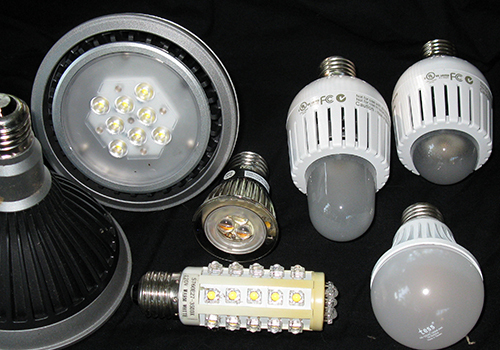 More-practical lighting could be obtained from an incandescent lamp. In 1801 the English chemist Sir Humphrey Davy had demonstrated the incandescence of platinum strips heated in the open air by electricity, but the strips did not last long. Frederick de Moleyns of England was granted the first patent for an incandescent lamp in 1841; he used powdered charcoal heated between two platinum wires. Commercial development of an incandescent lamp was delayed until a filament could be made that would heat to incandescence without melting and until a satisfactory vacuum tube could be built. The mercury pump, invented in 1865, provided an adequate vacuum, and a satisfactory carbon-filament bulb was developed independently by the English physicist Sir Joseph Wilson Swan in 1878 and by the American inventor Thomas Alva Edison the following year. By 1880 both had applied for patents for their incandescent lamps, and the ensuing litigation between the two men was resolved by the formation of a joint company in 1883. However, Edison has always received the major credit for inventing the light bulb, because of his development of the power lines and other equipment needed to establish the incandescent lamp in a practical lighting system. The carbon-filament bulb was actually highly inefficient, but it banished the soot and fire hazards of coal-gas jets and thus soon gained wide acceptance. Indeed, thanks to the incandescent lamp, electric lighting became an accepted part of urban life by 1900. The carbon-filament bulb was eventually succeeded by the more efficient tungsten-filament incandescent bulb, which was developed by George Coolidge of the General Electric Company and first appeared in 1908. In 1911 the drawn tungsten filament was introduced. In 1913 filaments were coiled, and bulbs were filled with inert gas�at first nitrogen alone and later nitrogen and argon in proportions varied to suit the wattage. These steps increased efficiency. Beginning in 1925, bulbs were �frosted� on the inside with hydrofluoric acid to provide a diffused light instead of the glaring brightness of the unconcealed filament. The double-coiled filament used today was introduced about 1930. With these improvements, the filament lamp became the principal form of electric lamp for domestic use until it began to lose favour to the more-efficient fluorescent lamp.